Becky G. Will Be Appearing On ‘The Ellen Show’ Today! The talented Becky G. will be appearing The Ellen Show today. You can watch Becky G. at 4 pm on NBC. Check out the show and let us know what you thought about her appearance. One Direction Catches Up With Ellen DeGeneres On ‘The Ellen Show’ – Check It Out Here! The guys of One Direction – Niall, Harry, Zayn, Liam and Louis – visited Ellen DeGeneres on her show The Ellen Show. During their appearance on the show, One Direction chatted a bit about themselves, Zayn missing the premiere of their new album Four. Of course, that is not all Ellen talks about with the guys. One Direction even meets a super fan! Check out One Direction’s interview with Ellen on her show by watching the videos below! 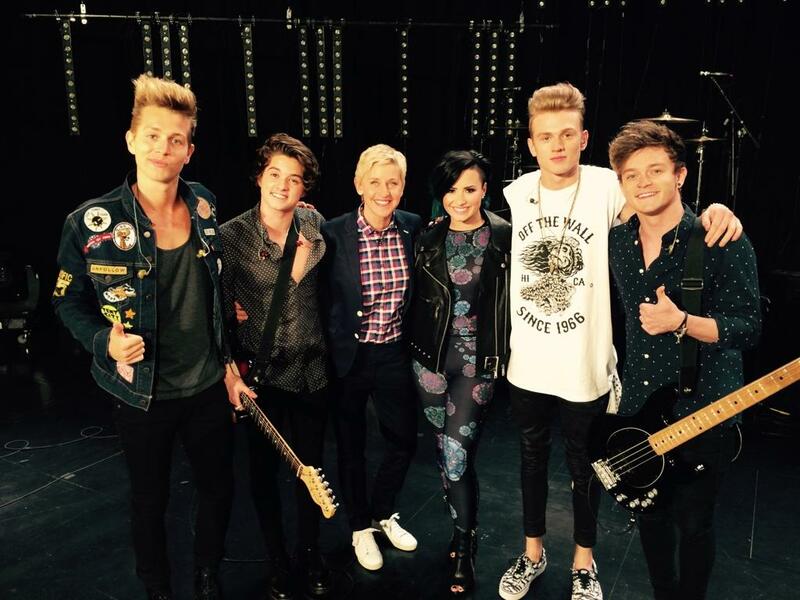 Demi Lovato & The Vamps Take ‘The Ellen Show’ By Storm! – Vids Here! Demi Lovato and The Vamps took The Ellen Show by storm on November 10th with a fantastic performance of the hit song “Somebody To You.” Demi was also interview by Ellen about her Halloween costume style, her upcoming makeup line and an adorable recent on stage proposal. Check out Demi‘s interview as well the Demi and The Vamps’ performance below! Taylor Swift Talks About Her Deepest (Irrational) Fear On ‘The Ellen Show’ – Watch Here! The episode is set to air on Monday, October 27, 2014. Taylor will also be performing one of her songs “Out Of The Woods” on Monday’s show so be sure to check back with us tomorrow! Tyler Posey Dunked On ‘The Ellen Show’ For Breast Cancer Awareness — Watch Now! Teen Wolf hottie Tyler Posey appeared on The Ellen Show yesterday, October 13th, along with singer P!nk. Since the beginning of October, Ellen DeGeneres has worked with many celebs helping to raise awareness and funds for breast cancer research. To raise it all, Ellen had a dunking booth set up so P!nk could throw these pretty pink balls to dunk him which in turn Ulta Beauty will donate $10,000 to research. For Tyler, this is of great importance on a personal level. An aunt he was close to died a couple years before of breast cancer while his own mother is currently fighting her own battle with a different kind of cancer. Check out this great video of a shirtless, yes shirtless, Tyler Posey getting dunked for $10,000 below! Selena Gomez Talks Possibly Moving To NY Someday On The Ellen Show! Selena Gomez stopped by The Ellen Show on October 13th to chat With Ellen DeGeneres about what’s new in her world. Selena recently left Hollywood Records and joined has new management. We can’t wait to hear new music and see new films from her! Do you think that New York and Selena would be a perfect match? Let us know in the comments, and check out some of Selena’s interview with Ellen below! Lucy Hale Performs “Lie A Little Better” On ‘The Ellen Show’ – Watch Now! In case you missed Lucy’s performance from the show, be sure to check it out by watching the video below and let us know what you think in the comments! 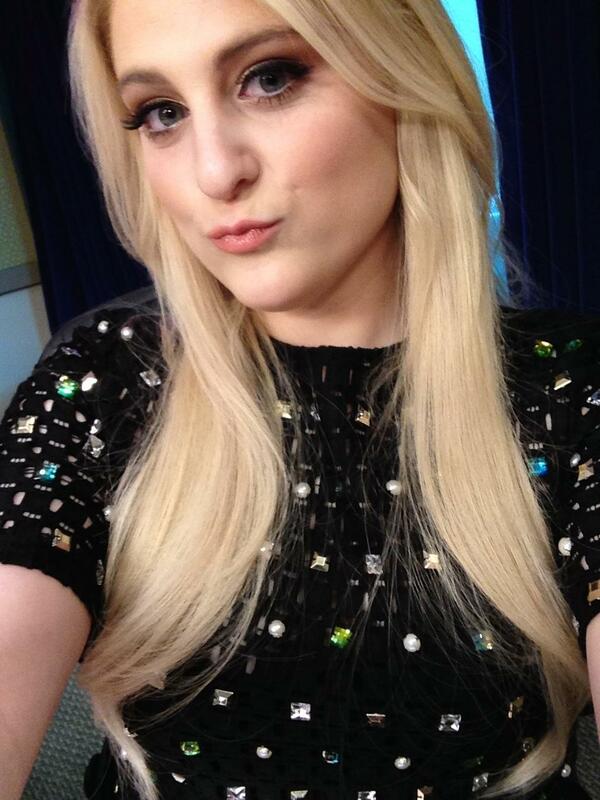 Meghan Trainor Performs “All About That Bass” On ‘The Ellen Show’ – Watch Here! Singer Meghan Trainor has become a huge hit especially after writing and releasing her new hit single titled “All About That Bass.” Her new EP also just came out yesterday! The song was written by Meghan after she watched an inspiring episode from Ellen DeGeneres’ show. It was only a matter of time that Meghan would perform her song on the show itself! Meghan appeared on The Ellen Show where she performed the song and even got a surprised from Ellen!